University and industry researchers have examined the impact of Volkswagen’s operation on the Tennessee economy. They have concluded that the upcoming expansion will create thousands of new jobs and pump millions of dollars into the local economy annually. Ever wonder why state governments throw out the welcome mat and offer generous incentives for international automakers? It comes down to just one word: jobs. Indeed, ever since Volkswagen set up shop near Chattanooga, Tennessee, the German automaker has created thousands of direct jobs with many times that number of indirect positions following. Gainfully employed workers pay taxes, buy goods and services, purchase homes and otherwise contribute to their local economy. Notably, every state benefits from automotive industry investing — Tennessee has been benefiting in a big way, particularly as both Nissan and Volkswagen expand or are planning to expand their operations in the Volunteer State. According to a January 2015 report by the Center of Automotive Research — Contribution of the Automotive Industry to the Economies of All Fifty States and the United States — more than 9,000 people are employed directly by car manufacturers in Tennessee. Another 53,000 have found work with body and trailering manufacturing companies and 218,000 are employed by parts manufacturers. That’s more than 280,000 of just over 3 million people in the state’s labor force. 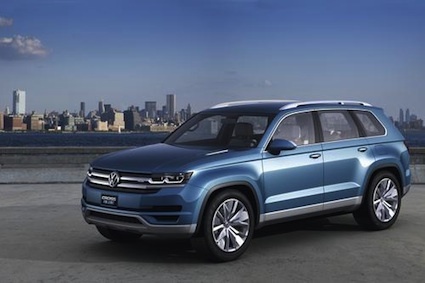 Furthermore, those numbers will be rising over the next few years as Volkswagen doubles its lone US plant to accommodate an upcoming new vehicle, a midsize SUV. A recently released study by the University of Tennessee, Knoxville (UTK) bears witness to what Volkswagen is doing in Tennessee. 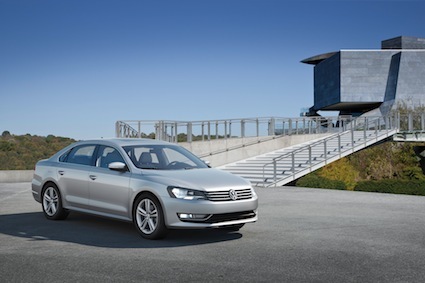 In July 2014, Volkswagen announced its plans for Chattanooga, what led to the university’s Center for Business & Economic Research (CBER) to analyze the impact of the plant’s expansion further. The university report — Economic Impact of Volkswagen’s Chattanooga Expansion Plan — was prepared by William Fox, CBER Director and Lawrence Kessler, a research assistant professor with CBER. The report noted that Volkswagen will be adding more than 500,000 square feet to its facility located in Hamilton County, Tennessee. The manufactory will gain 1,800 new workers. Moreover, another 200 engineering jobs will also be added to that number, employees working in a new Research & Development (R&D) center, the first automotive R&D center located in the US southeast. Volkswagen says that it will take five to eight years for the new positions to be filled as production of the new model ramps up. The plant will be finished in the first half of 2016 with production commencing later in the year. Construction alone will add nearly 5,400 jobs while the plant is being built and contribute $217 million to the Tennessee economy. State and local coffers will enjoy a one-time increase in tax revenues too, totaling $20.5 million. With 2,358 people currently employed directly by Volkswagen in Tennessee, the new totals will approach 4,400 when the hiring process comes to an end. Once fully operational, the UTK researchers estimate that the new plant will create 9,799 new jobs and pump $372.6 million annually into the local economy. Further, local and state governments will see a $35.1 million bump in annual tax revenue through sales and other taxes. Volkswagen’s presence in Tennessee has also encouraged original equipment manufacturers (OEMs) to expand or set up their operations in the region to serve the automaker. The UTK researchers found that 20 companies have done so since 2009, adding 2,257 jobs to the area and contributing nearly $200 million to the economy in less than six years. That financial investment is a gift that keeps giving and will likely increase as Volkswagen expands its operation. The UTK researchers also honed in on the multiplier effect of auto industry job creation, noting that for each dollar spent another dollar or more of economic activity is generated. In other words, as new workers are hired by Volkswagen and OEM suppliers, that’s more money to be spent on food, clothing, cars, entertainment and so forth, a ripple effect that underscores why your own state’s governor and politicians are eager to land car manufacturers. Photos courtesy of the Volkswagen Group of America.